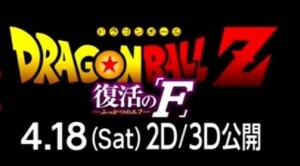 Thanks to the latest trailer for Dragon Ball 2015 we now know it will be the first Dragon Ball Z movie made in both 2D and 3D. The fights in Dragon Ball have always been cutting edge in terms of annimation and one of the most impressive parts of the cartoon. The new movie will push the fighting annimation to its fullest it’s ever been with new 3D technology. The only down side it that it probably wont be shown in 3D outside of Japan. Dragon Ball movies never really got a big release outside of Asia with most countries getting only a stright to DVD release. Fingers crossed a few cinemas will have it in 3D when it gets a world wide release in 2017.